Imagine ... neighbourhoods where food is a driving connector for learning, sharing, and celebrating together. We are a network of neighbours and organizations working together to address food insecurity. Food4Good was formed in November in 2013 as a result of the Growing Forward: Conversations with our Neighbours about Community Food Initiatives project hosted by Trinity United Church in the Meadowlark neighbourhood. What are the boundaries of Food4Good? 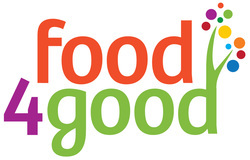 The Food4Good community is bounded by 107 Avenue on the north, the Whitemud on the south, 149th Street on the east and 170th Street on the west. It includes Britannia Youngstown, Canora, Elmwood, Glenwood, Jasper Park, Lynnwood, Meadowlark Park, West Jasper Place, West Meadowlark Park, and Sherwood. Who are the members of Food4Good? Most importantly, Food4Good includes residents from the neighbourhoods. Offer your yard as a place to grow food. Email Ashley Thompson. Participate in monthly group purchases of chicken and eggs from a local producer. Sign up now. Help us access more fresh fruits and berries by offering your fruit trees or bushes or by joining one of the fruit picking teams. Email Ashley Thompson. Grow some of your own food. Sign up for one of the raised beds at Trinity United Church or some garden space in one of our yard share plots. Email Ashley Thompson. Join the Sowing Seeds of Possibilities list serve and be the first to know of upcoming events and opportunities.